Registration for the 2019 - 20 School Year opens March 2, 2019! 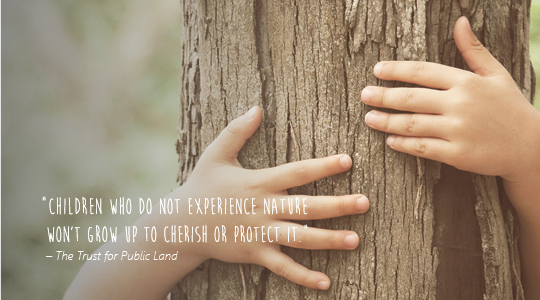 Our Little Sprouts program is dedicated to bringing children and nature together. We offer experiences typically found in child-centered learning centers; however, what is special about Little Sprouts is that these experiences will be focused through daily interaction with nature, animals, and plant life. Research has found that children who spend more time in nature pay attention better, think more clearly, and are able to cope more effectively with stress. The nature curriculum is based on seasonal changes. Topics reflect current events in the natural world and provide the basis for daily outdoor discovery plus: creative arts, large and small motor skill development, math and manipulative activities, natural science exploration, language experiences and construction play. Little Sprouts is more appropriate for children whose families are looking for discovery-based learning, rather than traditional lessons that are scheduled and confined by curriculum objectives. Natural themes and materials are incorporated throughout indoor and outdoor activities.